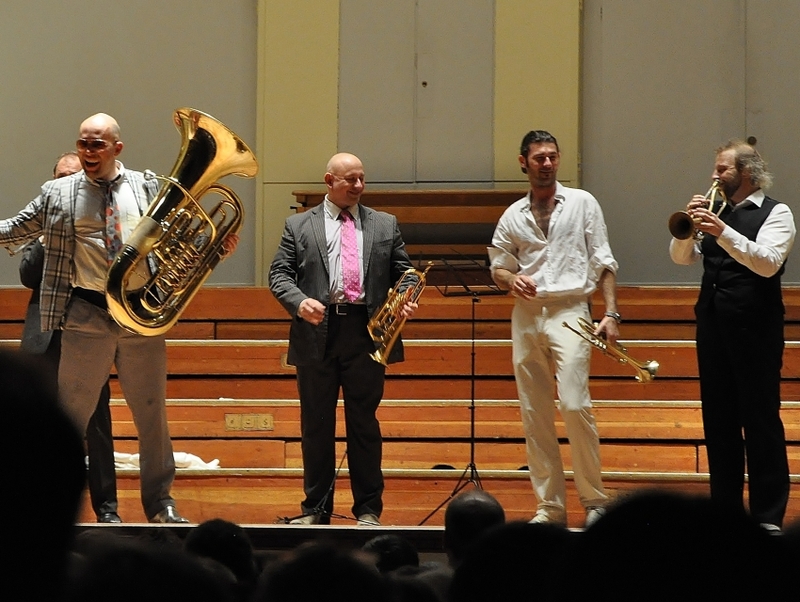 Mnozil Brass is an Austrian shlager band that was founded in 1992. The septet plays classical folks songs in addition to jazz, pop and other traditional European genres with brass instruments, oftentimes unusual ones like the keyed trumpet or the Wagner tuba. Employing a healthy dose of humor, oftentimes slapstick in nature, into its music and stage banter, Mnozil Brass always manages to make its live shows enjoyable experiences for all audiences.